Play free city games online! Choose the city game you want to play from the list below. You can sort the games alphabetically, by date or by rating. Almost all of our city games are playable on full screen. Have fun! 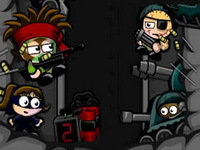 Take on the role of a lone sniper in the City Siege universe and save SNAFU Island from the Baddies. City Siege Sniper takes City Siege and combines it with Sieger, a bit of Ghost Recon Future Soldier and throws in a few puzzle elements as well. Guide small group of survivors through the zombie apocalypse. An entire city has been taken over by zombies and the player has to defend the last safehouse. Pick a leader. Send out your settlers in the city to search for survivors, resources or information. Produce weapons and traps. Repel the zombie waves and search for a cure to safe the city. Hot City is a 5-reel, 25-line video slot based on a New York ritzy theme. As with several of our slots, Hot City offers rich graphics accompanied by themed background music. The game incorporates a VIP shoe shopping frenzy bonus game. Players are taken to a designer shoe store and asked to select the most stylish shoes from the collection; each pair of shoes has a coin value. Collect all 3 types of resources to buy buildings for your city. Match four or five tiles in a row to get more resources. Your goal in this addictive logic game is to create matches of three same symbols in a row. There is marble plaque (blue background) behind some tiles. Make matches over all marble plaque tiles to finis the level. Some of the tiles give you resources, such as gold, supplies and food. This time they are trying to take over the Jungle, build your army and put a stop to their antics! New features include: - More varied terrain - Water, Lava, Swamps and Bridges - Volcanic levels - New Baddies, including Tesla Coils, Jeeps - New Units, including Molotov Guy (burn stuff down), Bomber, Jeep and Tesla Tank - Improved strategy and unit balancing - 30 all-new levels. Your living in a city on a little island and your goal is to - live the life! Study > get a job > get rich > own the city and become king! When you have bought all the buildings you'll become king. Search the island and find new things. ... And you can also submit your score (lifepoints) on a global highscoretable! Super M to the rescue! Ms M has been kidnapped by evil forces in Mouse city. It seems like every time you save her, she is kidnapped yet again! Your objective is to fly through the city and save Ms M again and again. Watch out for buildings or anything else as you fly - hitting them hurts. Try to pick up super-conductor coins that are floating at various points in the game - they will give you bonus points! Saving Ms M at the end of each level will give you an extra life. Finally and most importantly, saving Ms M becomes more critical as you progress through the levels - so you will be flying much faster each time - you will need a steady hand and a strong heart. Good luck Super M, may the cheese be with you! You are an Amarion demon. You must infiltrate in the Greenums depot (gate 45) and destroy the nuclear reactor. The original building block game. Construct buildings around Stackopolis City by stacking blocks to match the buildings blueprints and artists impressions. The most addictive game since Tetris! So your kid brother has got him self into a right old pickle with Big Dog, the meanest gangster in Dog City! He's relying on you to get him out of this mess, as usual. It's time to dig out your driving gloves and strap yourself in for some action-packed street racing! Your goal is to get to the finish line before the others after completing all the laps, only this way will you win the race and proceed to the next harder and more exciting level. Also you can choose between different types of Porsche in the color you like, no extra charge! The roads are narrow, try not to drive on the sidewalk, cause you'll lose speed, and the other racers may pass you, some roads are shot down, so pay attention to those, don't bump into them. Get to the safe zone, officer! Over! Being a cop isn't easy, but you do get to drive fast and shoot stuff. Use the mini-map to navigate along the way, and grab power-ups as you cruise the streets. Keep the city safe, and try not to wreck your police vehicle. These things are expensive, as you'll discover when it's time for upgrades. Buy and upgrade cars and weapons in the garage. Live your life in this little city, earn money, make friends and enemies. get rich or die trying. It's all up to you! Explore Pix City, fight the bad guys and try not to get caught up in corruption and crime! The year is 2312, and you are the world's last human traffic cop. Can you do better than a robot? Prove it! Click the stoplights to change their color. For each level, only a certain number of stoplights can be green at the same time. Keep an eye on the cars' stress meters. If they get too high, you'll get a warning. Three warnings, and you've lost your job to the robots. Drive to the rescue! People are counting on you in this tense driving game. Use the arrow keys to race your way through the city streets. Keep an eye on your objective, and don't crash!